A Paso Robles man reportedly driving under the influence of alcohol crashed his gold Cadillac Escalade into a street sign and a tree on Thursday and fled by foot before an officer used a Taser to end to the chase. Richard Leon Zambrano, 45, ended up in the hospital following his attempt at evading capture. Upon his release from the hospital, Zambrano tried to flee police again, but failed for a second time. Shortly before 3 p.m., police received a report that a gold Escalade hit a street sign in the area of 11th and Olive streets. The SUV was driving recklessly through the neighborhood prior to hitting the sign, the citizen reported. About 10 minutes later, an officer spotted a matching vehicle in the 800 block of Creston Road and tried to stop it. The driver initially yielded to the side of the road, but then fled at a high speed. Another officer located the vehicle about 10 minutes after that. As the officer tried to catch up, the Escalade left the road, drove through a dirt area and down a hill before slamming into a tree next to South River Road near Union Road. The driver, whom police later identified as Zambrano, ran away and resisted officers, according to a police department news release. An officer then shot Zambrano with a Taser gun, causing him to stop resisting. Zambrano was treated at the scene and taken to a local hospital as a precautionary measure. 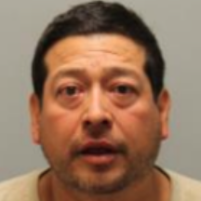 Following Zambrano’s second escape attempt by foot, officers booked him in the Paso Robles Police Department detention facility. Zambrano is charged with four misdemeanors: driving under the influence of alcohol, hit and run, evading a police officer and battery on a police officer. But Alcohol is soooo much fun…..not! Drivers of Cadillac Escalades think they have a license to drive like thugs. Ya just can’t fix Stupid. Yet another drain on the taxpayers.